Ross is an experienced and entertaining speaker, and has given hundreds of talks about his books. He is essentially a story-teller, in both his books and his lively, illuminating presentations about them. 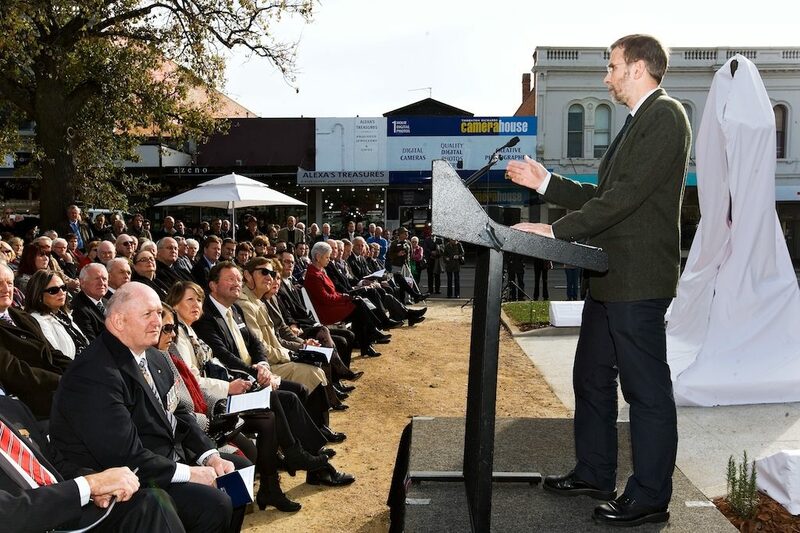 His wide-ranging audiences have also included writers’ festivals, libraries, bookshops, regional art galleries, historical societies, schools, history teachers’ conferences, Probus and Rotary groups, Lions Clubs, U3A classes, the National Trust, Legacy branches, mechanics institutes, diverse cultural associations, and a variety of clubs such as the Naval & Military, Lyceum, Australian, Savage, Athenaeum, Melbourne, Geelong and Kelvin Clubs. 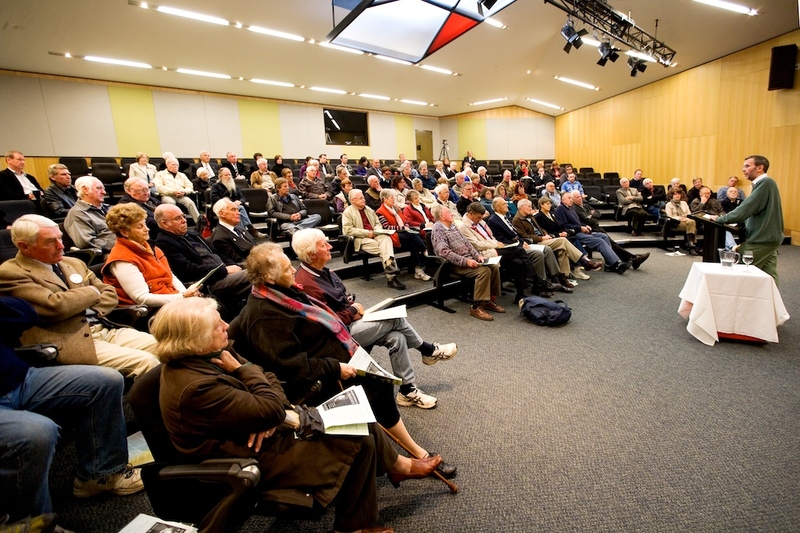 He has also provided several presentations to each of the following: the Walter and Eliza Hall Institute, the Sydney Institute, the Royal United Services Institute, the Melbourne Cricket Club, and the Australian Senate’s lecture series. A very warm thank you for visiting our region to talk about Pompey Elliott. I have been receiving some wonderful feedback all day from staff and attendees alike! Your talk was very well received at all four locations … You are an engaging and passionate speaker and a natural performer. I have had the privilege of hearing Ross McMullin speak on many occasions, on a wide variety of topics. 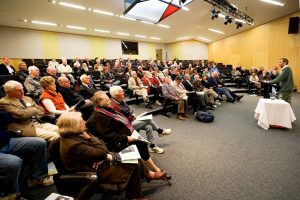 Ross has given many talks at the Shrine of Remembrance, all of which have attracted large crowds of varying ages and all of which have been met with great enthusiasm and praise. Our feedback is always so positive that I never hesitate to book him again within our extensive public programs schedule. With his vast and very detailed understanding of history and politics, Ross is an engaging, educative, inspiring and provocative speaker. His award-winning books are indicative of his knowledge and passion for military history and related topics. I would not hesitate to say that Ross is one of the Shrine’s favourite and most popular speakers. Ross McMullin draws together a rare combination of fine scholarship and a singular verve in presentation. When he shared his work on “The Remarkable Pompey Elliott” to The Hancock Society in Melbourne, it was deemed by collective consent to be the most enjoyable and interesting talk in our ten-year history. The quality of the speakers on our roll make that quite a compliment and yet a fair assessment of Ross’s ability to adopt an accent of an earlier time and to put flesh on the bones of great yet forgotten Australians. Ross was the first speaker in our history to be asked to present a second time. We hope to have him back for a third. I was fascinated by Ross McMullin’s presentation. I could have listened for hours. Ross McMullin recently addressed a capacity audience at Osborne House, North Geelong. Ross kept everyone spellbound as he recounted the lives of the “lost generation” of young men killed in World War 1, and his ability to capture the imagination of the listeners was evidenced by the empathetic and spontaneous responses drawn from the crowd. As organiser of the event, the feedback I received contained adjectives such as “terrific”, “fabulous”, “marvellous” and “thankyou – that was great!” – all of which I heartily endorse. Ross is a gifted and very entertaining speaker with an obvious passion for his topic. Ross McMullin is a pre-eminent historian and an entertaining speaker. I have had a long association with Ross and admire his wonderful story-telling, evident in his acclaimed books and his superb presentations to a variety of audiences, which are invariably well received. Ross McMullin’s writings and presentations combine exemplary scholarship with popular appeal. 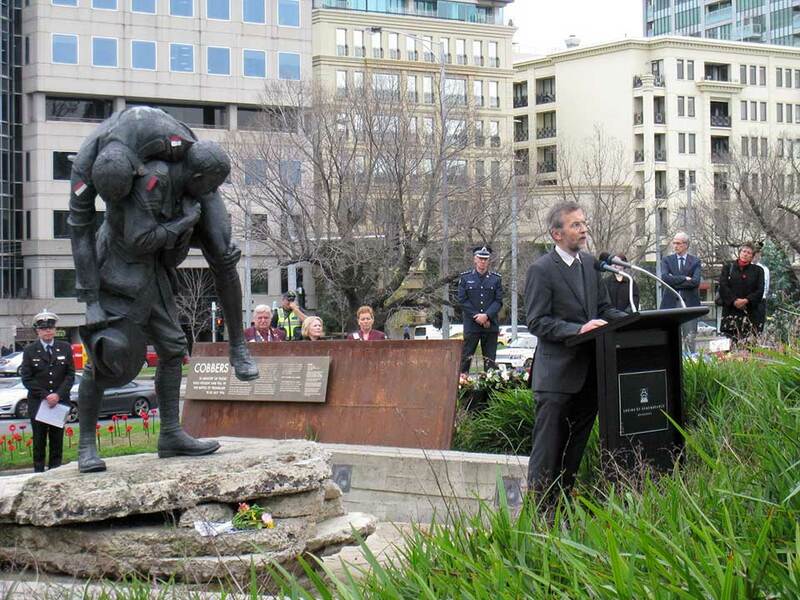 He investigates major periods and movements in Australian social and military history, but focuses on the extraordinary and ordinary individuals who shaped or responded to events. Readers visualise and empathise with his characters, and audiences are both entertained and moved by his well-illustrated presentations and evocative readings of significant characters’ statements.